Eyeshadow- Stargazer Pressed Powder Orange, Stila Seasonal Warm Trio (Peach), Cover Girl Shimmering Onyx, MAC White Frost. 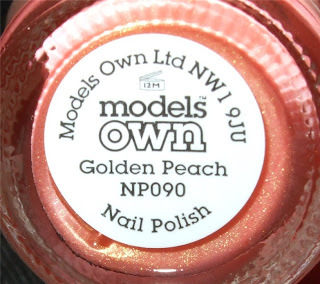 Models Own Nail Polish in Golden Peach- The colour is exactly in the name, it's such a pretty pearly shimmering colour, reminds me of a fish haha. 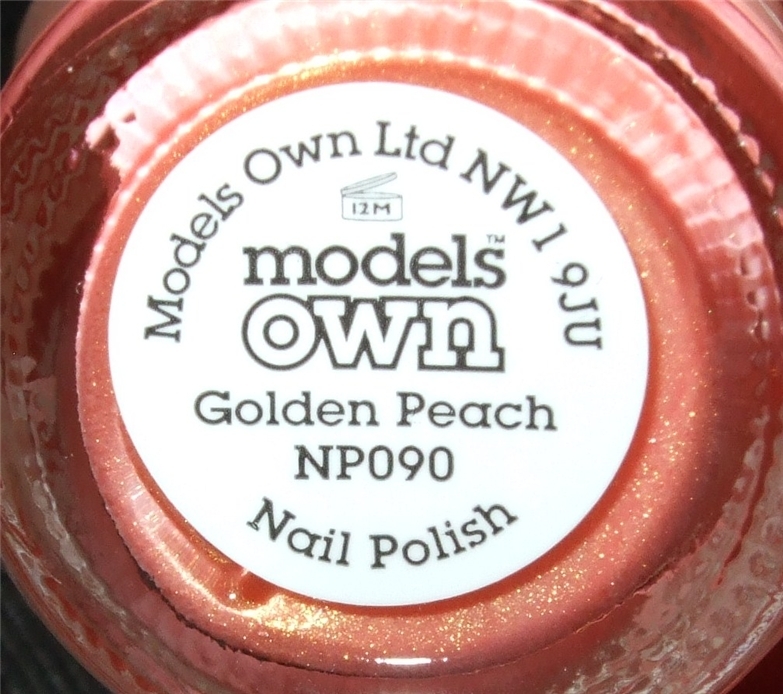 You do need about 2 to 3 coats on this to get it nice and opaque. These dry quite quickly so that's always a bonus. I love this EOTD so much! 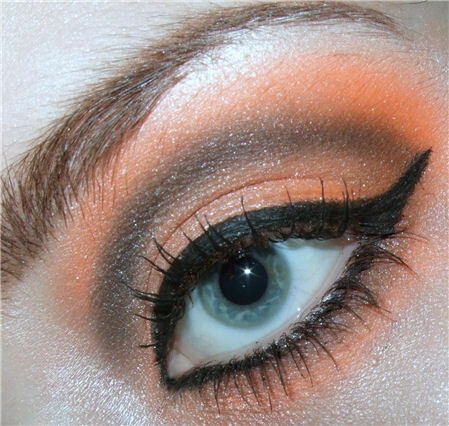 I need to do an orange/peach look soon. 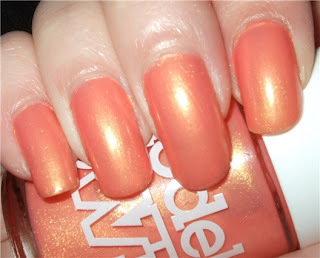 I love the nails too, I need to buy me some more MO! Ireally love your bold colour placement! 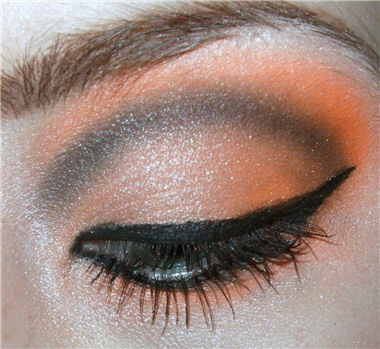 This look would have been perfect for halloween! Btw how do you find the Lash Accelerator? Ive been using it and saw no difference whatsoever! The nails are awesome! Love the eyes too. 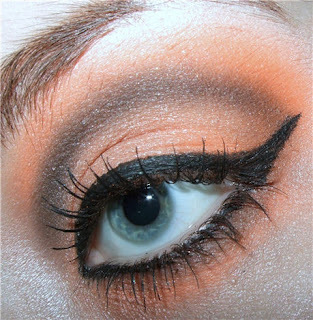 Very bold and hot combos!